One of the chief financial problems plaguing young adults in the United States is student loan debt. Due mainly to the stratospheric tuition costs of universities, coupled with a slowly recovering economy offering a limited number of well-paying jobs, 44 million Americans are saddled with thousands to tens of thousands of dollars worth of debt with seemingly no way to pay it back. As a whole, student loan debt totals to 1.48 trillion dollars. To put that into perceptive, that amount is almost double what the country’s entire credit card debt is. The significant difference is that credit card debt for the average person comes to about four grand, whereas the average amount of student loan debt a graduate may bear can be over $31,000. In some cases, graduates have as much as $100,000 in debt. Given the rates at which young people are attending college and the fact that college costs are anticipated to increase, that debt total is bound to skyrocket in the future. The effects of the massive student loan debt endured by college graduates (and dropouts) are multi-faceted and bear crippling consequences. For example, since college graduates may try to pay off their debt when they can, they often do not spend as much, either for personal consumption or for productive ventures such as starting a new business. To make things even worse, while attempting to pay off loan debt and also take care of ordinary living expenses in such a sluggish economy, many previous college attendees describe themselves as just living paycheck to paycheck. As a result, young graduates and college attendees are developing an increasing number of documented cases of psychological disorders such as anxiety and depression, in addition to engaging in abnormally high rates of self-imposed social isolation. Further, many Millennial prospective homeowners can’t get a mortgage because of student loans which haven’t been paid off. Although designed to help, recent programs such as specialty FNMA student loans could exacerbate these problems. Provided by the federal bank Fannie Mae, this change in policy allows applicants to exclude certain forms of debt, including educational loans, when applying for other kinds of loans such as a mortgage, so long as the original debt is being paid off by someone else such as a parent. Unfortunately, with such a slow economy and real wages being generally flat, this is just another form of federally encouraged debt accumulation. Furthermore, just like student loans, the mortgage loans provided by Fannie Mae is taxpayer backed. Consequently, this will increase total public debt, which has exceeded a staggering 20 trillion dollars. What Strategies Are There to Address Student Loan Debt? Given the pervasiveness and detrimental effects of student loan debt, a number of schemes to pay down and eliminate it have arisen over the years. 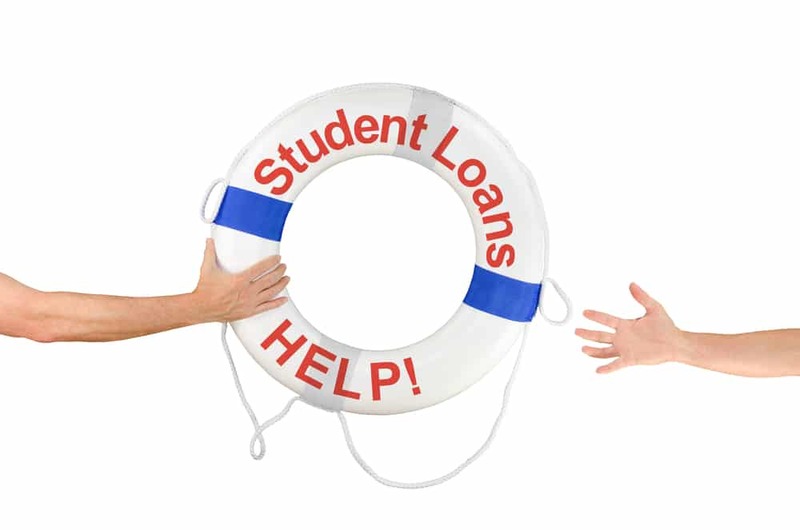 Being one of the most common means to pay down student debt, income-driven repayment sets up a plan wherein a percentage of one’s monthly income is allocated specifically to paying off student loans. Designed to be as accommodating to the debtor as possible, this program has several specialty variants which take into account the debtor’s income and family size. Consequently, the debtor can select the percentage withdrawn, anywhere from 10-20%, and payment length which varies between 20-25 years. Another option is to apply for a kind of student loan forgiveness. To clarify, there is not any form of grand Obama student loan forgiveness bill or executive order. There are debt management companies which may use this or a similar term as a marketing tactic – however, there is not a comprehensive federal program which eliminates all debt which anyone can receive. That said, some debtors may qualify for the Public Service Loan Forgiveness program, which allots partial debt relief to those who work in public service fields such as the military, fire department, teaching, or nursing. Along with that, the beneficiary is required to make 120 on-time consecutive or non-consecutive payments and work in the public sector for a decade to receive PSLF forgiveness. Keep in mind also, some internet scammers may use a form of “complete student loan forgiveness” language as well, so tread carefully when investigating this online. Short for a home equity line of credit, HELOC is one of the more unusual, though still workable, means to pay off student loans if you are fortunate enough to possess a house. Also used as a tactic to successfully pay off credit cards, HELOC leverages the value of your home to receive a line of credit which is facilitated by a mortgage company or bank. This line of credit can be borrowed from repeatedly within the predetermined amount to pay for ongoing or pay off existing student loans. A variation on this, a home equity loan is very similar, except a lump sum is provided to the borrower immediately.